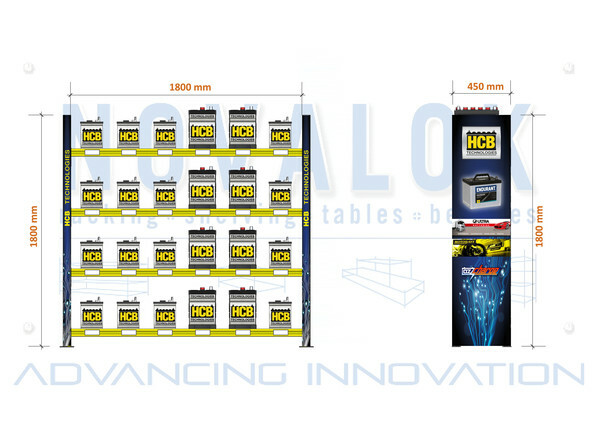 Novalok is working closely with HCB technologies to design a merchandising stand to display both heavy battery products and hang sell the accessories incorporating the popular Novalok “Novaspan” and “Z Series” works shelving, creating a strong modular custom kitset system with both shelf storage and hanging pack storage. This type of system is extremely versatile given the variety of sizes available the adjustable shelf heights and it comes flat packed for transporting! Simple functional design makes these systems the perfect choice for retail display of these types of products. Epoxy coated gives a durable finish that looks great and will take the knocks. Large range of sizes available. Can be customised to suit any particular application. 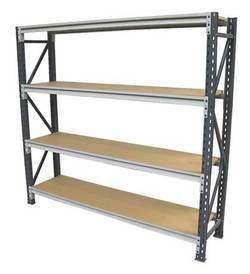 Available with plywood, MDF, Triboard, Wire mesh or steel panel shelf inserts. The Novaspan range is the ultimate choice for a wide range of other industrial applications. Full epoxy powder coat finish. Dark grey/light grey colour standard. Powder Coated in Silver Pearl. 1000kg max weight loading per module. Easily adjustable shelf levels in 50mm increments. 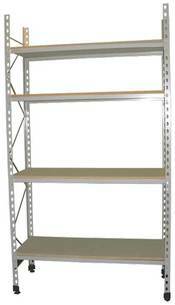 Shelf capacity from 150kg-500kg shelf level depending on unit lengths. Available as a static unit, or on castors as a trolley.